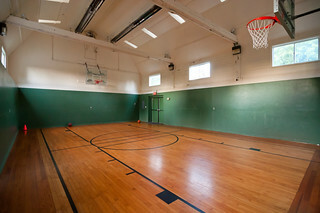 Our gym contains facilities for basketball, table tennis and foosball. Guests can also enjoy volleyball and soccer in ball fields adjacent to the gym. Easy hiking trails and 60 acres of lovely natural areas make Louhelen stand out from urban meeting centers. Wake up to beautiful green woods and the serenity of being surrounded by nature.